Biology, employee performance, and business systems have more in common than you may think. According to the book “The Selfish Gene” by Richard Dawkins (first published in 1978 and widely accepted as the most significant communication about the basics of inheritance theory), genes act in specific and predicable ways to move towards a limited goal. They each have tasks they are programed to accomplish and the genes that are good at their tasks survive, those who are not adapt or die. Dawkins argued that genes drive the organism, and that changes in the gene expression drive evolution of the species. More recent research elaborates on the relationship between gene expression and the environment in which the genes interact. 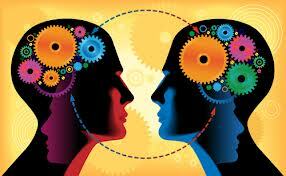 This interaction creates a co-adaptive process between the organism and the genes. Genes are actually “cultural” in the sense that they create “norms” of gene expression as a response to environmental conditions. So, genes express themselves differently depending on, as David Dobbs says in his article “Die selfish gene, die,” the gene company they keep and the environment in which they experience that company. Thus we each have increasingly complex versions of organic systems working to maximize the functioning of organs like brains and hearts and lungs and digestive systems – all of them systems within that control multiple other composite systems. These interconnections become more intricate when we look deeper at the effect genes have on all parts of these relationships – there’s a kind of dance between agency and structure that begins to play out. Then, overseeing the entirety of both simple and complex processes, is the mind which is choreographing such amazing things as organizing an event, dealing with disasters, loving one or many people, experiencing art, creating political strategies, or deciding to persevere in the face of insurmountable obstacles to cite just a few examples. The interesting parallel is that in a business the genes can be compared to employees at the front line. They have specific tasks to accomplish in order for the business organism to function. Each department is like the organs in the body, and each system like an aspect of business systems that affect the whole of the organism. When departments are healthy and business systems flow naturally, the entire organism is on the path to optimum performance. What I wanted to focus on in the biology metaphor for business systems is this concept of gene expression – or employee task specifics – in a cultural or environmental context. Dawkins gives the example of genes in bees that serve a hygienic function of keeping disease out of the hive. 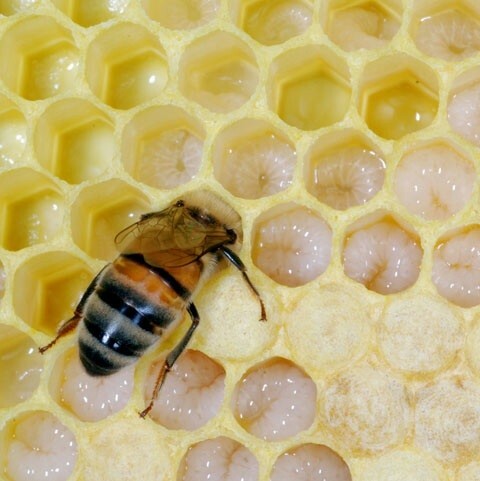 A sequence of genes is required for infected larvae to be removed from the hive before others become infected. One gene notices the infected larvae, one takes of the cap off the larvae, one removes the infected larvae and one drags the larvae out of the hive and disposes of it. Not all bees have the entire gene sequence, so a hive is more or less efficient with keeping disease out depending on how many have the entire sequence. BUT – now this is the cool part – when in the right environmental context, the “latent” genes that could assist with the hygienic process can still function optimally. So, if a bee with the gene to take the infected larvae out works with a bee that has the gene to take off the larvae cap, they stimulate the gene expression of the other bee. In a new context where the bees have to adapt as a system, they are only able to respond if the cultures of response are based on effective combining of individual skill sets. This has huge consequences when we consider it in the context of employee performance: the right mix of people will awaken each other’s latent talents. The combination of skills creates a responsive culture that improves the system’s capacity to act. Since humans and bees actually share a lot of genes and since genes act the same way across species, it does not stretch the imagination to consider this biology information as a business parallel. The point is that we need to work together in more diverse groups to get to the gene potential of the entire species. We may all have gene sequences that allow us to accomplish quality tasks, but we also all have pieces of gene sequences that are only activated in the company of others whose pieces precede and or follow our piece in the task sequence. I’m sure you have all had the experience of being asked to do something you have never done before and, after trying it, you realize you had a hidden talent to do that task. Usually you could do the new task because you were in a new environment with new tools, new colleagues and new explanations at your disposal. I just heard a story about a tiny woman who became an international sharp shooting champion with no prior experience, interest or practice. She had a company event (culture) at a shooting range, (environment) and when she seemed to have the knack, the others encouraged and coached her (awakening the gene sequence). She then decided to take this up seriously and became a world champion. But without the right “gene activating” environment, the “sharp shooting gene expression” would have been dormant for the rest of her life. The context, the people and the opportunity all combined to activate and maximize her talent for sharp shooting. #1) Diversify your employee groups so they are not all the same people with the same kind of background performing the same job. Consider hiring some people for every job who do not share the same industry, country, experience, gender, language, culture or race. This creates an environment in which the latent genes can express themselves because they are more likely to find complimentary partners. But since this is not just about genes but complex systems, you will need to put effort into making sure everyone is on the same page (optimize the environment) and working towards the same goal (they need to know where they fit in the sequence of things and why), allowing for some diversity of approach to capitalize on the possibility of matching gene sequences. This will increase individual job performance AND innovation AND problem solving capacity in the group. #2) Find ways to include people who are not normally working together into ongoing business systems. For example, choose a group comprised of say, a front line person, supervisor and scheduler to do a new client walk-though with the boss. The diverse group meeting with the client and the client meeting the group will activate everyone’s motivation, and optimize the possibility of latent gene expression. A culture of customer satisfaction and higher employee engagement will be the result. #3) Get information from the person who is closest to the job before making a decision. Depending on your circumstance, this might look different, but could be as simple as watching closely how someone accomplishes a certain task from start to finish. This clear observation will allow you to respond more appropriately to change initiatives in ways that make the current system more effective. Remember the bee hygiene – keep your system free from disease by first understanding the sequence in a task, then optimizing it. #4) Make efforts to diversify and inform from a variety of sources to increase the capacity of the business ecosystem to respond quickly to a threat or an opportunity. Picking one example from the business context, sales, operations and human resources have to be in constant communication. If they aren’t the system becomes blocked, bureaucratic and unhealthy. Communication between the genes, organs and systems allows the system to develop flexibility to new business requirements and to adapt to business threats. There are infinite variations of how organizations can relate genes and business practices. How can you apply this metaphor in your own context? How can you share your insights with others? Sounds like a sustainable business model to me. Ready to learn more about building your business capacity and achieving strategic outcomes? Watch the intro video for our Quickstudy Professional Package now and start upskilling today! Dawkins, Richard. (1990, 3rd edition). The selfish gene. London: Oxford University Press. Dobbs, David. (2003). Die selfish gene, die. http://aeon.co/magazine/science/why-its-time-to-lay-the-selfish-gene-to-rest/ . Correct on April 4, 2015. Effendi, Shoghi. (1933). Letter to an individual Bahá’í, through his secretary, 17 February 1933. Published in: Encyclopedia of Global Environmental Change volume 5: Social and Economic Dimensions of Global Environmental Change, ed. Peter Timmerman, John Wiley and Sons, 2002.